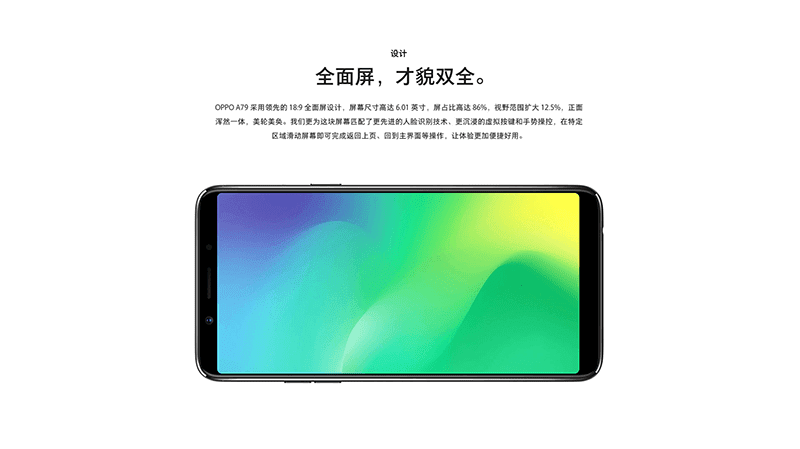 Yesterday, OPPO made the F5 Youth official. Today, the announced another F5 looking smartphone packed w/ an 18:9 screen and the same Helio P23 chip, the A79. It still has the 6-inch FHD+ 2160 x 1080 screen w/ narrow side, top, and bottom bezels. But coming from the regular IPS panels of the F5 series, the A79 is packed w/ the higher-end OLED screen. It also has 4GB RAM, 64GB expandable internal storage, and 3,000mAh battery w/ VOOC fast charging support. At the back, the phone has 16MP f/1.8 main camera. In front, it has a 16MP shooter w/ f/2.0 aperture size. The handset also has a fingerprint scanner behind, 4G LTE, GPS, A-GPS, and Android 7.1.1 Nougat OS w/ Color OS 3.2 skin. 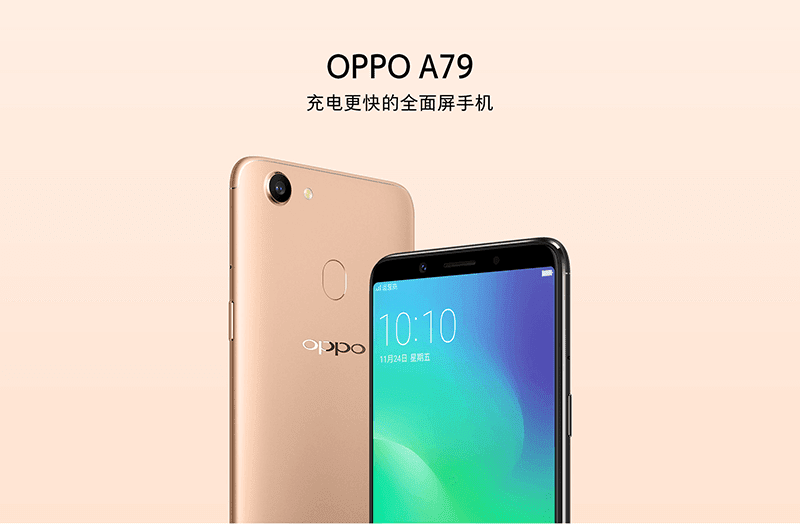 The OPPO A79 will be available in China starting December 1 for CNY 2,399 (around PHP 18.4K).